I love this design because it’s upper body looks imposing and ready to fight on all sides. The only issue I have is the legs. The foot design looks good but I feel like the legs look to small and fragile for the massive body they support. They made me think of a big elephant with giraffe legs. 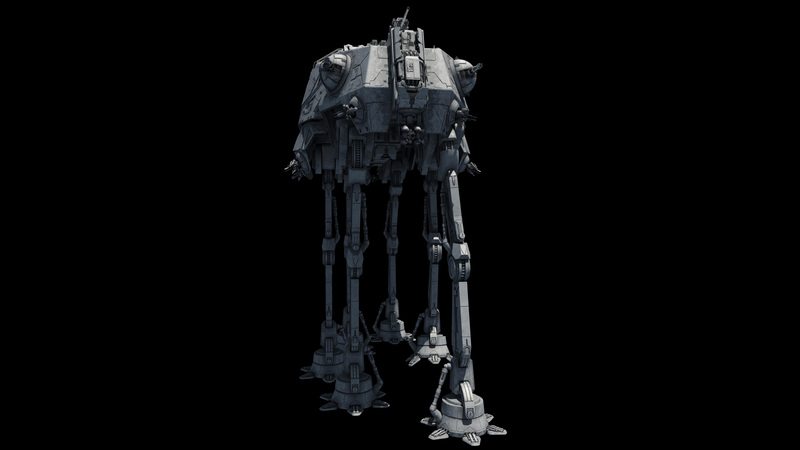 An idea I had was making the legs shorter and giving the AT-SP more spread out legs like the AT-TE. 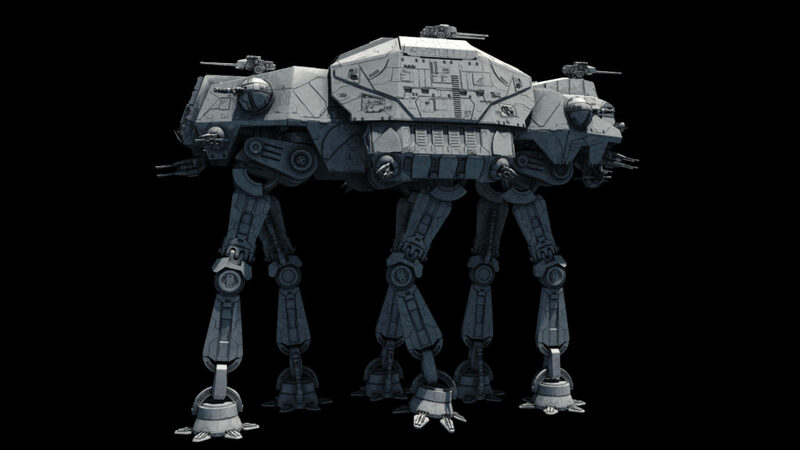 Bigger legs like the AT-TE would make look stronger while also giving it better balance. Love all your designs! Just don’t buy into the whole 6-downward-legs-concept. If it was a viable form of locomotion it would exist in nature … yet it does not. I mean yeah, it does on ants but those legs are different, we’re talking mammal-like legs on this one. Thanks, but I’ll stick with the Juggernaut. So Fractal, since this monster is gigantic, I was wondering of it could fit into any Landing Craft, Or even how it fits in hangar bays who are not large enough. How do you transport these? As of right now there are no known dropship type that can carry a AT-SP yet and when Fractal does make one it will be either a Chi class heavy dropship variant or a titan class variant. As for the hanger bay that carry them there are as of right now 4 ships that can carry them with those hanger bays (Which are the huge square ones) which is the Impellor, the Compellor, the Legator and the Consolidator. So Fractal since you said the AT-SP is 56 meters in height then what the length is? 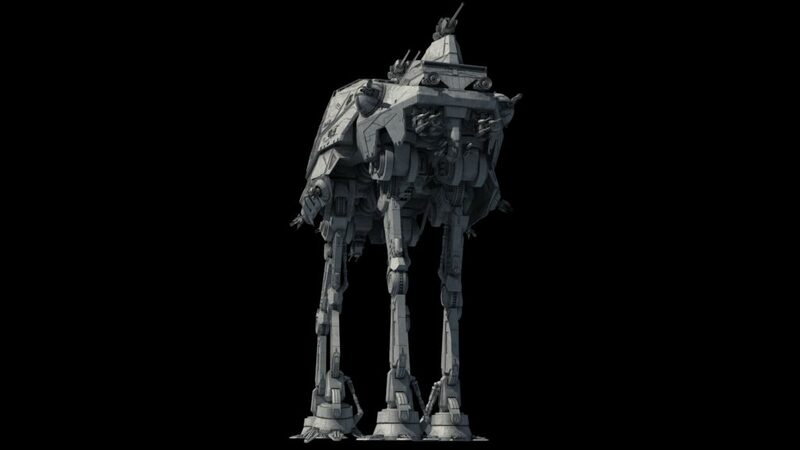 OK the AT-M6 walker size was revealed to be 40.87 meters in length, 17.95 meters in width and 36.18 meters in height. 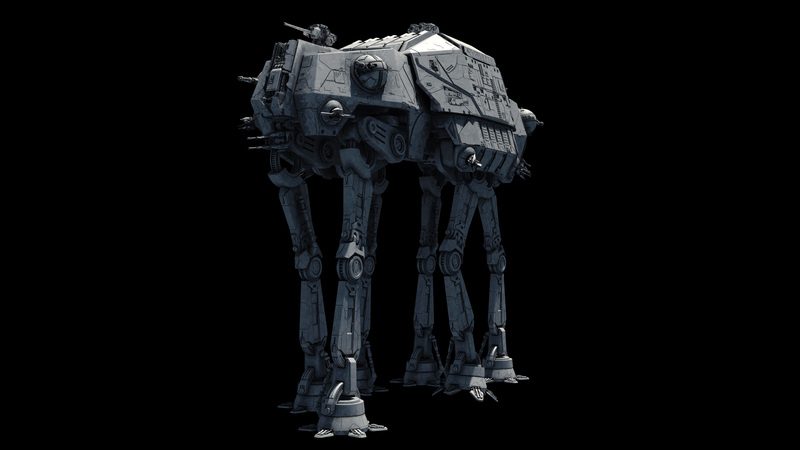 Also the First Order’s AT-AT’s front toes was reinforced for smashing aside obstacles and it look stubby. Also it’s front shin have extra reinforced armor. Another thing about the M6 is that at the top back there are some containers that are fuel cells for the megacaliber 6 turbolaser cannon while it’s front legs were design like that for reducing the turbolaser cannon’s recoil. 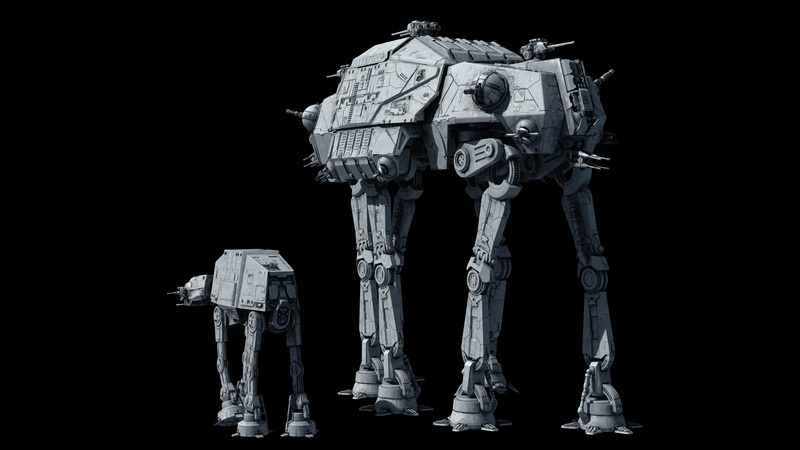 So Fractal does the AT-SP move the same speed as the AT-AT or slower? 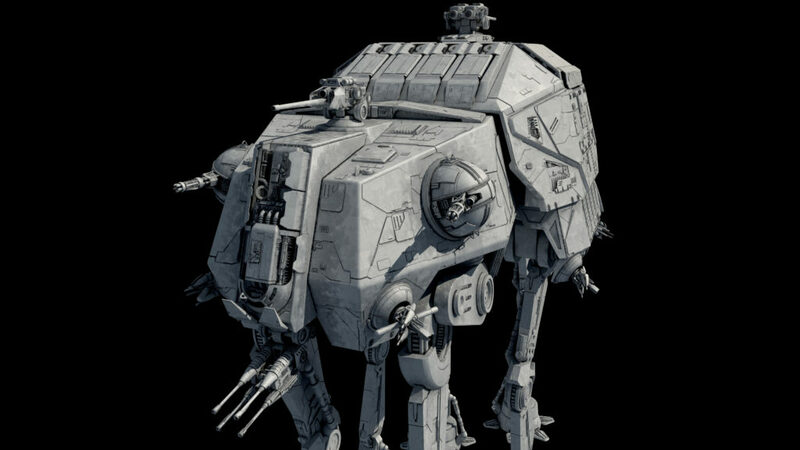 Forget the gorilla walker, this thing is amazing. 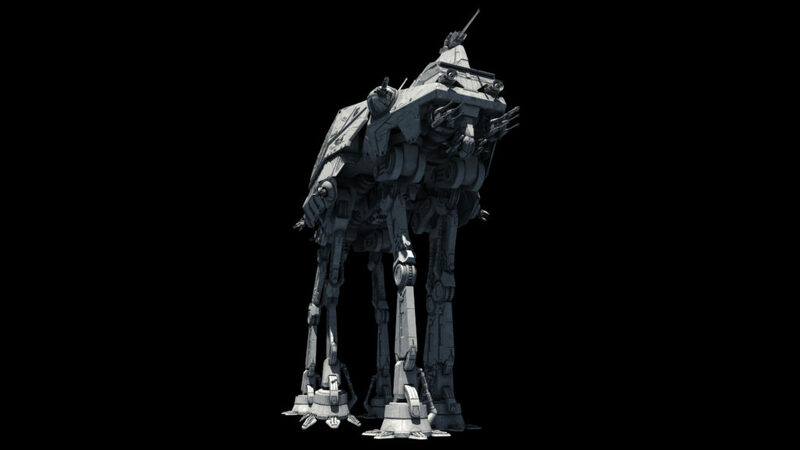 If echo base was screwed with AT-AT’s, then imagine these. The first transport would have never gotten away. The first transport got out before the walkers got on the ground, so your argument is invalid. So the tops guns that is mostly going to be use for attacking very heavily fortified bases are the basic 6 megatons light turbolasers or most likely a cut-down sub megaton version? I think they’re derived from the old AT-TE’s main gun, in which case it’s not an energy weapon but a mass driver. How would those guns compare to the dual turbos on a Light Cruiser (imp)? 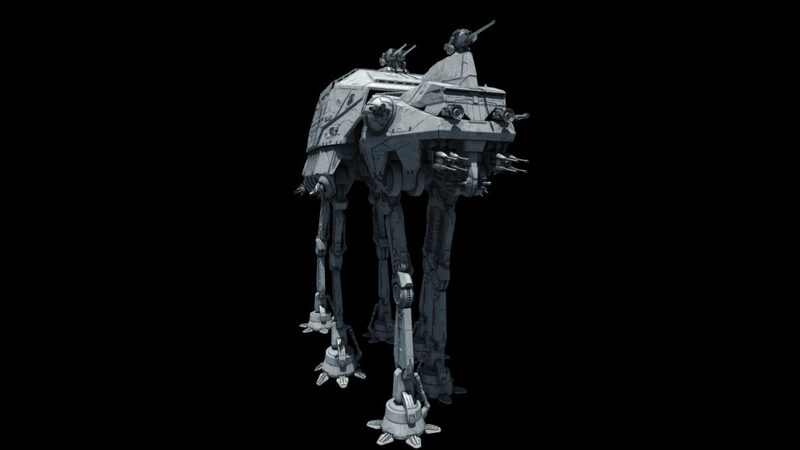 Hmm… ironically this thing looks to be about the same size as the new ‘Gorilla’ walker the First Order uses (I will not say it’s name because everything new that got named for the sequel trilogy seems to have been named by a comic book author or something, so many dumb names). Except that thing is just a giant artillery piece. 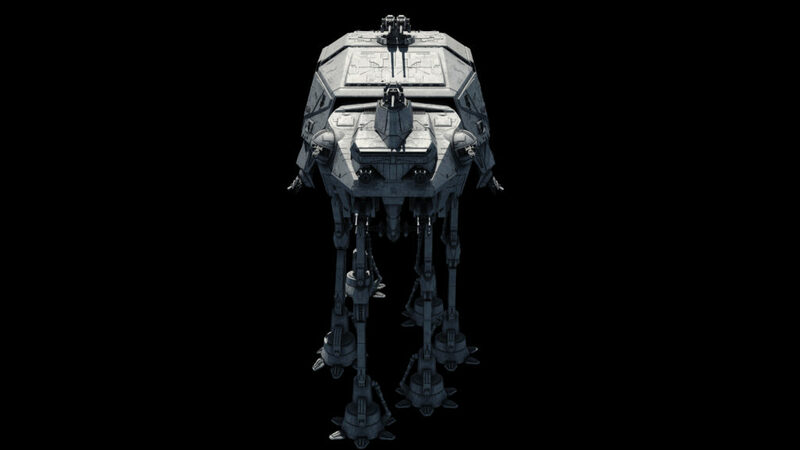 Sensible choice to make this brute somewhat no-neck (that’s what all the turrets & sensors are for), though from the side my fool eyes take a second to distinguish ‘tween fore & aft. Those upper & lower-midsection hatches imply at least some light-vehicle/troop capacity and/or missile magazines, so staying below its horizon may not help quite enough. Speaking of which, fiendish idea: training remote/interrogator droid-scale target designators. Whoops, didn’t intend this as a reply. Decent analogy on Stellar’s part, though. 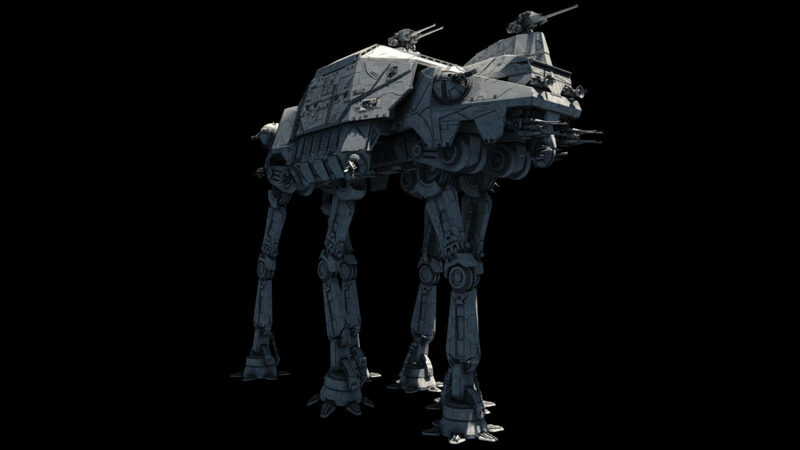 Interesting design, reminded me of that vehicle being described as a link between an AT-TE and an AT-AT. That said, the tall, lanky looking leg is a little odd for me and I think it would be more fitting if the legs are angled outwards more. 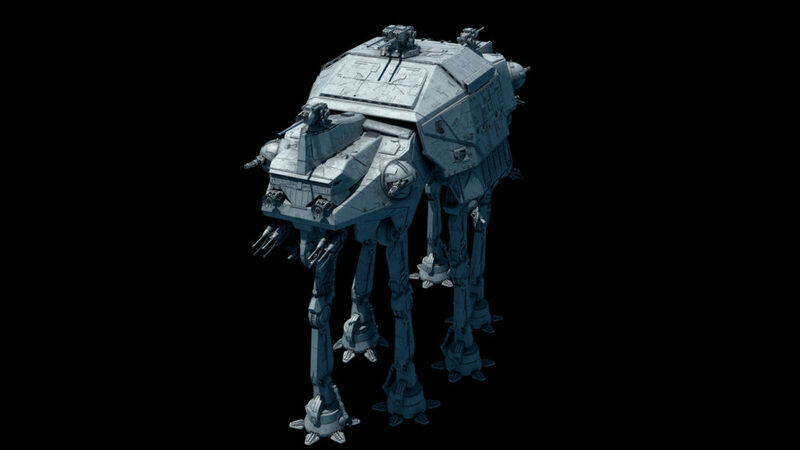 Ah yes this behemoth I bet it would destroy the so called First order’s Mega caliber 6 walker no problem. Nah, a MegaCaliber Six shot to those lanky legs would spell disaster for them I think. If you need that much ground firepower, at what point does it become more feasible for a Victory class Star Destroyer to drag an extendable spike from its ventral hangar to maintain ground contact in order to breach a theater shield? 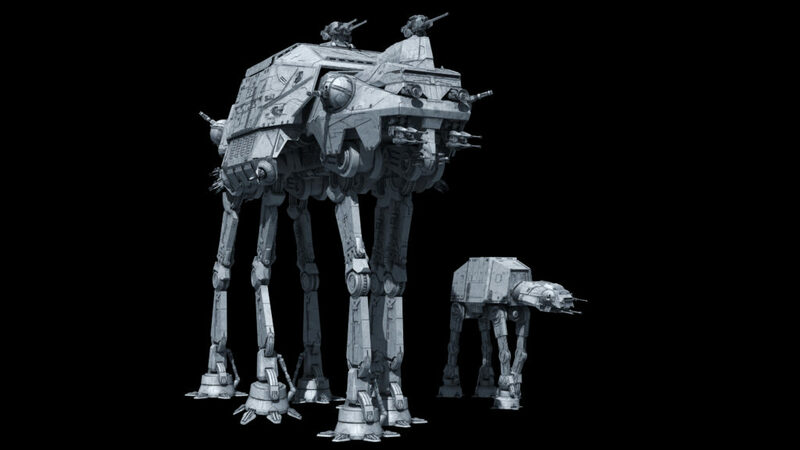 These superheavy walkers are cool, but is there really a tactical niche for a walking fortress of this size? This thing seems to me to be like a ground-based Death Star. Massive, but impractical. All mecha are impractical. But see my other comment for a possible rationale (with the understanding that all mecha are basically crazy). Eh, at least this thing can theoretically cover its own flanks & aft (unlike most of its AT-series brethren), and mines capable of wrecking its day might be most prohibitive to deploy. The juggernaut looks cooler than any walker. I’m still partial to Juggernaut variants or that ground-support repulsor platform you were tinkering with a while back, though doubtful the former would want to engage this thing piecemeal. As for coolness: point in full, though I’m curious what its locomotion cycle usually looks like. The CIS might operate under that kind of pragmatic, numbers-driven philosophy, but the Empire is run by men, and men are loss-averse. 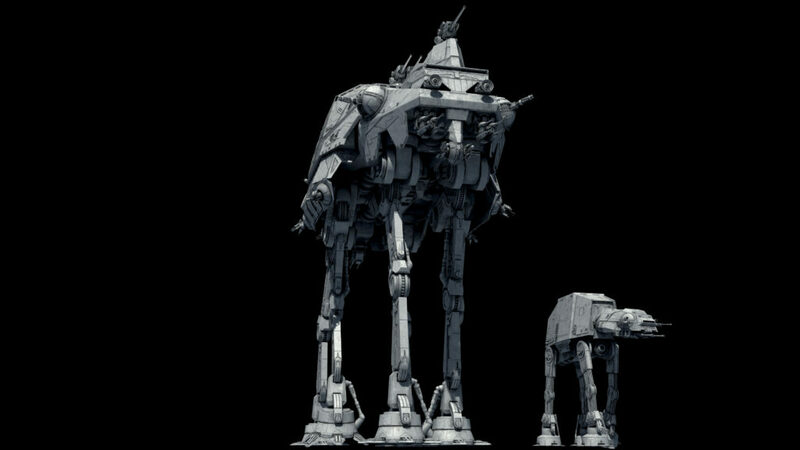 These big walkers probably have hundreds of crew if you scale up from Juggernaut/AT-TE crew densities, and even if a corps level formation of walkers is still cheaper than a frigate, most field commanders would probably rather put two thousand men at risk than fifty thousand. After all, the budget isn’t their problem. Everything in Star Wars is impractical, who cares really? 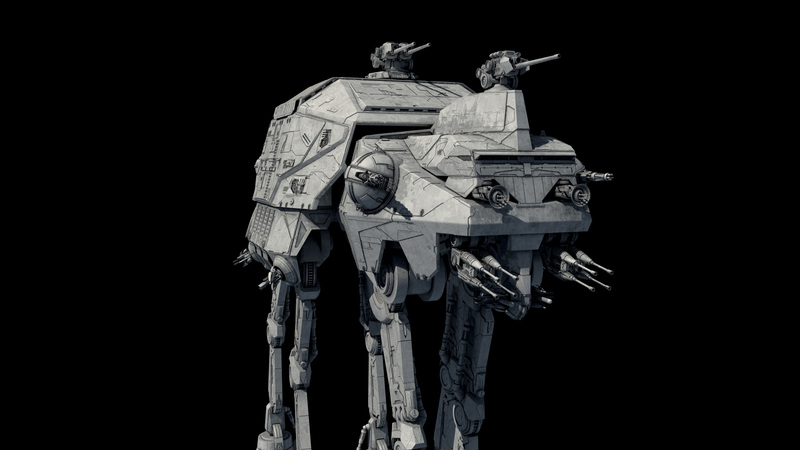 Not sure how I swing on the ‘superheavy walkers or capital craft on repulsors?’ question yet, but fortress worlds probably mount their share of destroyer-to-battlecruiser-grade surface guns in addition to the superheavies. Destroyer/frigate-scale units might have to wait for said defenses to get locally denuded before risking low-altude antics inside a planetary shield breach, which could be where walker dropships come in. Plus, as Fractal hinted at with the ‘crashing frigate’ factor there is the question of how far attackers *or* defenders are willing to take BDZ-borderline procedures. 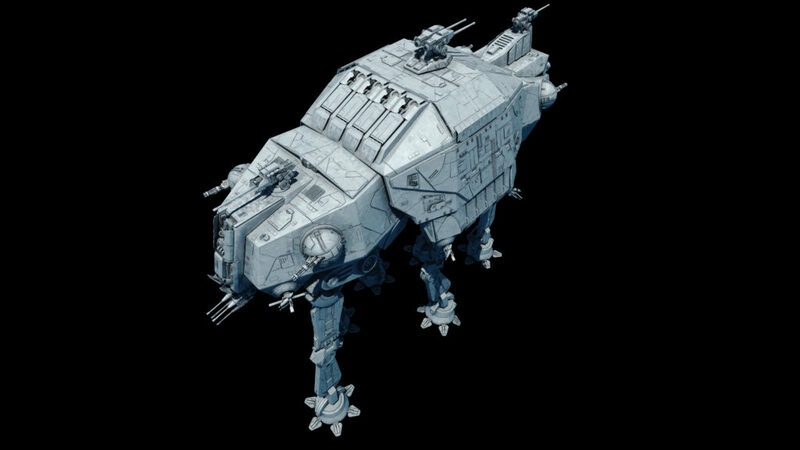 Just gotta note that having mentioned destroyer-caliber ground batteries, most walker dropships would have a much easier time ducking those at close quarters (or mid-descent) than your average light capital, besides their innate expendability by comparison. ‘Sides, they’d also have plenty of fighter/gunboat-scale fire support to contend with lighter defenses unless the siege itself gets abruptly broken up/called off. I’m more/less sold on the expendability angle for mass armor. Plus, it’s an open question as to how many passive/active defensive layers most worlds have the means (or political leeway/inclination) to stack up in the first place. Total war fortress worlds/systems in SW would be insane – dreadnought-scale mobile defense platforms/monitors, huge stockpiles of missile/minefields, multiple layers of planetary shielding, secondary theater shielding for shield generators and for ground batteries of v-150 and w-165. 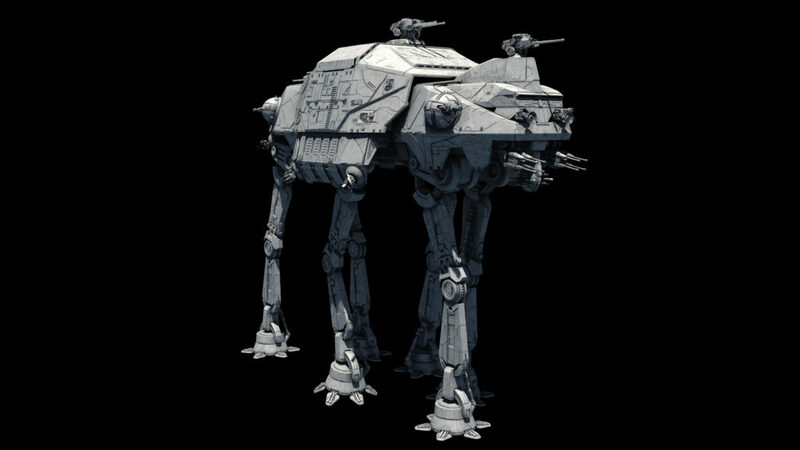 Kilometer-wide and deep bedrock-cut anti-armor trenches, deep crust vacuum subways for protected strategic mobility, mass use of self-replicating droid defenders, HTL point defenses on kilometer-high armored towers for high-depression-angle fire. Basically imagine the cost of a fleet, sunk into a planet. That type of world is probably super rare, but would be ridiculously hard to take without strategic weapons like superlasers and such. In season 1 of SW: The Clone Wars, Separatist proton cannons (which seem to be the Invisible Hand’s mass driver cannons mounted on legs) easily shoot down an Acclamator with a few hits. Then in AotC a Trade Fed Core Ship with about an order of magnitude more shielding than an Acclamator is shot down by five SPHA-T walkers. I’d say frigates have a lot to fear from ground armies with mobile artillery, never mind dedicated fixed defenses. Oops, that last anonymous post was by me. I don’t really understand the “ground contact mast” part. Freely passing through theatre shields can’t be as simple as having whatever appendage touching the planet surface, otherwise it would be true of any repulsorlift vehicle. That type of shields should logically be way superior to the ones of frigates, if they have to be effective at repelling capship fire for extended periods of time, so said frigate would just fry itself trying to hammer through, and then be trapped under the shield canopy, damaged or seriously weakened and unable to retreat, if it can go under it at all. It’s not my idea, I’m responding to it. I also think it can’t be as simple as that, otherwise we’d see capital ships used against shielded targets often. Sorry for the confusion. I was responding to Steve who was, at least I think the first to evoke the idea. My guess on how it works is that the shield become more matter-tolerant as it approach the surface, since it needs to account for the ground and the particular geography of the environment it is deployed in. 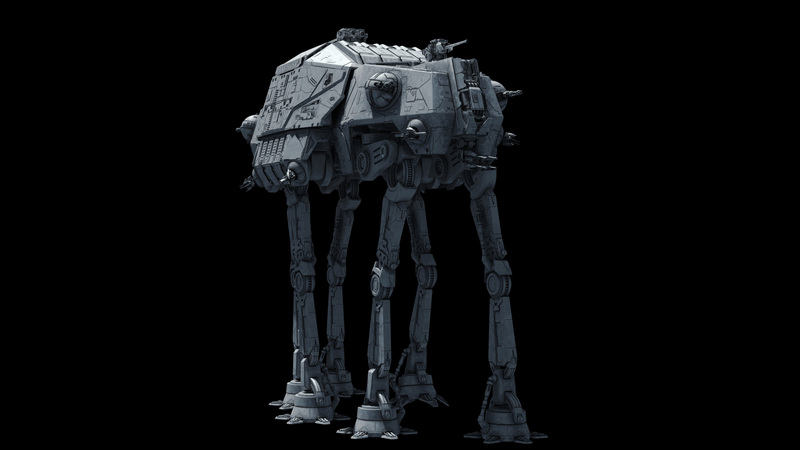 Since walkers make ground-contact and have a relatively low profile (at least compared to a 30 km-wide shield “bubble”), the shield might just not make the difference between them and the local terrain. How do you get a picture next to your username here? It’s supposed to be a global avatar, but it’s not implemented on every site.